It requires regular care and some supplies, but with a little practice you'll be a hot tub maintenance pro in no time! Use test strips twice a week. The container that holds the strips should have a chart for you to follow. Compare your results with the chart and adjust the chemicals as needed. Focus on keeping balanced chlorine and pH levels first, and worry about the other levels after. The pH should be as close to 7.4 as you can get. A range of 7.2-7.8 is fine. Add one chemical at a time. When you adjust chemical levels, add one chemical at a time, then wait two hours before adding another. This gives the chemicals time to disperse natually and minimizes any toxic chemical reactions that might occur from mixing chemicals. Change the hot tub water completely every 3, 4, or 6 months. How often you change the water depends on how often you use the hot tub and how it looks. More use means you'll need to change it more frequently, but if you haven't used it in a while and things look a little off, change it. At a minimum, you should be changing the water 2-4 times a year. Condition the hot tub cover monthly. Conditioning prolongs the life of the cover by protecting it from UV rays. The cover keeps your tub clean, so it's important that it fit well and be in good shape. 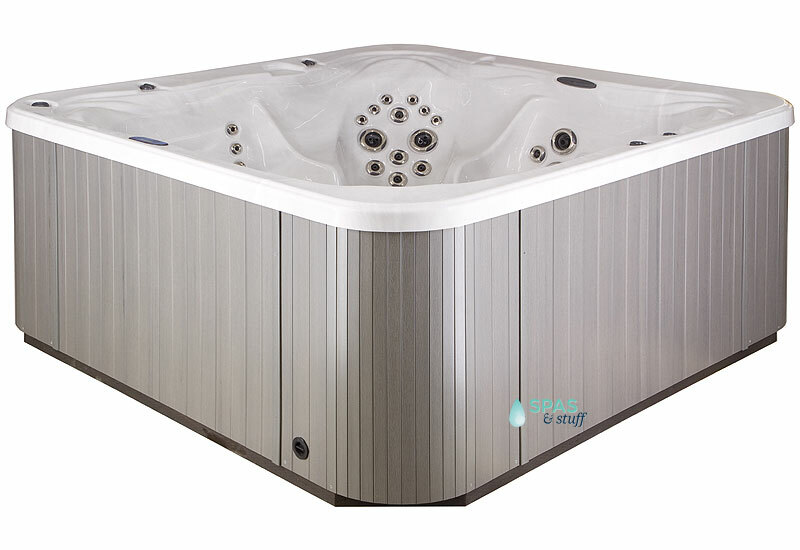 Buy only quality hot tub chemicals from swimming pool and hot tub stores. Cheaper chemicals purchased from general stores are not as effective, which makes them less cost-effective in the long run. Conditioners are for the outside of the hot tub cover only, not the inside. If you are seeing foam in your water, it is usually caused by lotions washing off of people's skin or detergents in swimsuits. Make sure hot tub users rinse off before getting in. Yellow water usually indicates very low pH. Using an ozone generator will reduce the amount of chlorine or bromine you need to use. Shop for quality hot tub chemicals at affordable prices here. This entry was posted in Hot Tubs and tagged hot tubs, maintenance, chemicals on May 14, 2014 by admin.